From commercials to clocks, Cedric Austria is the perfect example of a multi-faceted young dynamo who took his chances and got it right! Now, the design and illustration skills he nurtured as a kid have taken him to the heights of his studio’s rooftop-lap-pool and beyond! 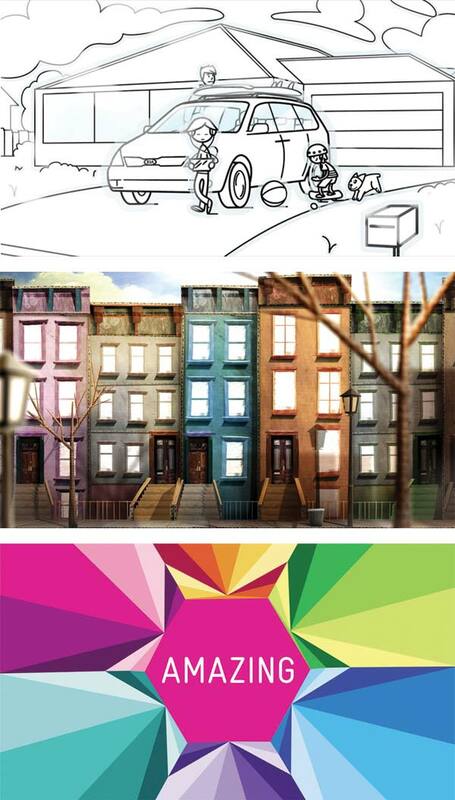 I am the senior art director at XYZ Studios which includes designing and animating for TV commercial advertising. I am also a co-founder of a new side business called AÅRK Collective. I would say I specialize mostly in design, this is quite broad though from graphic design character to set design. At XYZ I have had to wear many different hats and work on a range of projects that included 3D Modeling, 3D animation, 2D traditional animation, illustration, stop motion, photography and filming. I did an internship at XYZ during my 3rd year at uni then I came back to do my honours which by then XYZ offered me a full time position and I have been here ever since. No I don’t think so, but this certainly helps. A lot of the senior freelancers we get through the studio are mostly self taught and show high quality of work. It depends on your skill sets and knowledge of the programs. Hmm. Wow I have been with XYZ for 7 years now? Time flies! Our clients range from bigger corporations to smaller businesses and anything in between, for example; Honda, Telstra, McDonalds, Havianas, Comcast, Vodacom, Ribena, Yellow pages, KIA, Sesame Street, the list goes on. XYZ was my first job in this game and I am still here……. Well for starters with a coffee! A typical day would be spent on the computer animating or designing something for a commercial. Because we are a multi disciplinary studio we get to work with very talented people in the industry. I have worked with 3D artists, matte painters, set buliders, film directors, stop motion animation, 2D animators. We often require a specialized job with all our projects and we get freelancers in to help us out. The great thing about this is we get to learn from them and collaborate to produce something really special. Our work space is pretty crazy. We have 2 other sister companies that we house, CRAYON and WHEELBARROW. The building itself has 3 levels, bottom level for grading/editing and finishing, the middle level for our producers and the top floor is XYZ. The founder of the company has fitted out the place to be inspiring and to feed creative minds. The studio has it’s own version of a tool wall which includes random and useful objects, we have drawings that scale our other walls and a section where one of our directors has freestyled paintings on. For those scorching hot days we sometimes take a dip in the lap pool on the balcony, if this isn’t enough to distract us we also share the space with the studio cats; 2 cheeky Scottish Folds that have taken over our work space! To be honest, nothing in particular. The fun part for me really is the process, thinking about the creative, pushing the boundaries of ideas and visualizing the aesthetics of a campaign to something we haven’t done before. We mainly focus on characters and storytelling. It’s a real buzz when we create an ad from scratch and all the way through to the final picture. There’s a certain amount of craft that goes into our ads which we treat differently from job to job, this is what keeps it fun and fresh. Deadlines. What’s really common in our industry is super tight deadlines. Also, the clients themselves. At times they don’t understand a certain detail or aspect which we feel will work for them and it is an uphill battle to get them on our side. Many clients don’t like taking risks, but it’s those risks that we take which makes our work stand out from the rest. 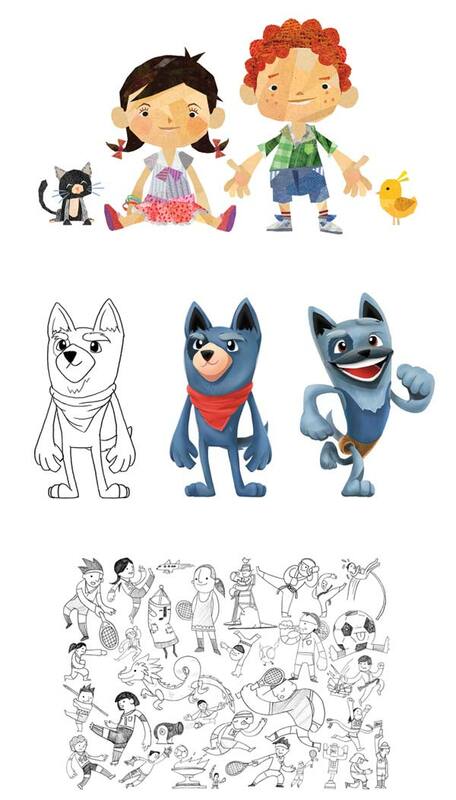 One of my favourite projects I’ve worked on is doing character designs and art direction on scenery for Havianas. This was mainly due to that fact that I experienced a couple of ‘firsts’ ; it was the first time I saw my character designs come to life and I personally used 3D for the first time in a job. I’m not too sure if you’d classify it as glamorous or impressive, but it’s a project that definitely stands out for me. I’ve been involved in projects that have won awards such as; We won an award which we were invited to receive in Singapore, this was especially memorable because it was the first time I travelled overseas for work! We’ve been in a few publications like Desktop and we’re blogged about in websites such as Motionographer, Computer Arts, Creativity and FX Guide. I worked with a guy who was a main stop motion animator for Tim Burtons A Nightmare Before Christmas. We’ve also worked with ex Disney artists and VFX people who have worked on major motion picture films. Do you get to travel with your job (please provide some information)? Yes! I’ve had the priveledge of flying over to New York, San Francisco, Jamaica and Singapore. We flew to New York for a pitch that we’d won for a US Music channel re-brand. The job was abruptly cancelled, which sounds bad but turned out to be great for me because I got a free trip to NYC and to top it off, a xmas party weekend in Jamaica with our New York Reps.
San Francisco was truly a highlight. Comcast is one of the biggest telco’s in the US and we flew over to work a full live shoot along with casting talent, set building, green screens and motion control camera rigs for a commercial that was comissioned by the US Government. One of my sketches turned into a full live set, which was amazing because I could literally walk inside it! We’re often invited to attend awards nights, movie opening nights, launch parties and after parties for events such as; Melbourne International Film Festival, Fringe Festival, AGIDEAS and SemiPerminant. To think what starts off as a few sketches is then translated into 3D, rigged and animated, then being able to watch these creations come to life on T.V, in the cinemas, as online reels, tram advertisements etc is the best feeling. Where did you grow up in Gippsland? Or where do you live? I grew up in Traralgon and now live in Melbourne. I went to St Micheals and St Gabriels primary school, then Catholic Regional College which is now known as Lavalla. The biggest difference between living in Gippsland over where I live now is that it always was so easy to hang out with my mates at short notice, we lived so close to each other and because some of them lived on farms and Traralgon is surrounded by the bush, we’d go camping often. I miss the fresh air and layed back vibe of the ‘Gon (Traralgon). The first big challenge was financial support. After being accepted into Swinburne I knew I had to move and support myself. All of my Art techers were great, especially Nadine Linheam who saw the creativity in me, she helped me realise my potential. Without the support and encouragement of my family and teachers I may not have even chosen this career path. My first job out of high school was in Melbourne, I worked at a local real estate agency walking distance from where I lived at the time. And like a typical Uni student, I mainly used the cash I earned on drinking and going out. Can you tell us about when you first left Gippsland and why? I left Gippslands because I got accepted into the Design course I applied for at Swinburne University. Moving to melbourne has been an important milestone in my life. 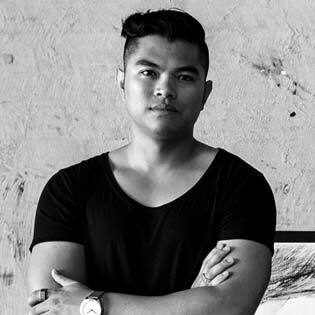 Melbourne exposed me to the culture within the Arts and Design community which I felt instantly connected to. Also, it was the first time living out of home for me and it made me really feel in charge of my own life –this was the beginning of my future in pursuing a career in the Creative industry. Lego, comics and video games as a child has been a great contribution to my creativity. One of the best gifts my dad has given me was my first PC in year 11, this alone has driven my curiosity for digital creation by using 3D and 2D programs, which I use now on a daily basis. Considering that Gippsland is the home of the Loy Yang Power station, I’d say resources and trades plus, the great produce and beautiful Australian landscape. A more active design community. By creating more design related exposure to the community, just like what madeingippsland.com.au is doing. To make it known that nothing is impossible – if you choose a design/ creative career path you’re not restricted to how remote your location is anymore. It’s more about getting your work out there and refining your skills, there is always opportunities to work from home because of the power of the internet. It’s the same major thing for me that Gippsland lacks at the moment, a more active design community. Yes of course. My folks still live in Traralgon and I try and come down at least once a month to visit. For me Gippsland is like an escape from the busy Melbourne life, I feel very relaxed and at peace when I am come down.